Thanks to Rob MacSweeney‘s fantastic Critical Care Reviews I learned of Idarucizumab, a monoclonal antibody fragment that binds the (pesky) anticoagulant dabigatran. Two industry-supported studies this week show rapid, complete reversal of anticoagulation in healthy volunteers(1) and patients who were either bleeding or undergoing procedures(2). The dose given to patients was 5g intravenously. An accompanying editorial(3) highlights that the clinical study did not have a control group, and these patients had a high mortality. Further controlled studies examining patient-orientated outcomes will be helpful. Of interest, another editorialist(4) lists other potential antidotes for Non-vitamin-K antagonist oral anticoagulants (NOACs) that have been or are being tested: an antidote against all oral direct factor Xa inhibitors called andexanet alpha (a recombinant activated factor X that binds direct factor Xa inhibitors), and a modified thrombin has been shown to be effective in vitro and in animals for reversal of dabigatran and potentially also other direct thrombin inhibitors. BACKGROUND: Idarucizumab is a monoclonal antibody fragment that binds dabigatran with high affinity in a 1:1 molar ratio. We investigated the safety, tolerability, and efficacy of increasing doses of idarucizumab for the reversal of anticoagulant effects of dabigatran in a two-part phase 1 study (rising-dose assessment and dose-finding, proof-of-concept investigation). Here we present the results of the proof-of-concept part of the study. METHODS: In this randomised, placebo-controlled, double-blind, proof-of-concept phase 1 study, we enrolled healthy volunteers (aged 18-45 years) with a body-mass index of 18·5-29·9 kg/m2 into one of four dose groups at SGS Life Sciences Clinical Research Services, Belgium. Participants were randomly assigned within groups in a 3:1 ratio to idarucizumab or placebo using a pseudorandom number generator and a supplied seed number. Participants and care providers were masked to treatment assignment. All participants received oral dabigatran etexilate 220 mg twice daily for 3 days and a final dose on day 4. Idarucizumab (1 g, 2 g, or 4 g 5-min infusion, or 5 g plus 2·5 g in two 5-min infusions given 1 h apart) was administered about 2 h after the final dabigatran etexilate dose. The primary endpoint was incidence of drug-related adverse events, analysed in all randomly assigned participants who received at least one dose of dabigatran etexilate. Reversal of diluted thrombin time (dTT), ecarin clotting time (ECT), activated partial thromboplastin time (aPTT), and thrombin time (TT) were secondary endpoints assessed by measuring the area under the effect curve from 2 h to 12 h (AUEC2-12) after dabigatran etexilate ingestion on days 3 and 4. This trial is registered with ClinicalTrials.gov, number NCT01688830. FINDINGS: Between Feb 23, and Nov 29, 2013, 47 men completed this part of the study. 12 were enrolled into each of the 1 g, 2 g, or 5 g plus 2·5 g idarucizumab groups (nine to idarucizumab and three to placebo in each group), and 11 were enrolled into the 4 g idarucizumab group (eight to idarucizumab and three to placebo). Drug-related adverse events were all of mild intensity and reported in seven participants: one in the 1 g idarucizumab group (infusion site erythema and hot flushes), one in the 5 g plus 2·5 g idarucizumab group (epistaxis); one receiving placebo (infusion site haematoma), and four during dabigatran etexilate pretreatment (three haematuria and one epistaxis). Idarucizumab immediately and completely reversed dabigatran-induced anticoagulation in a dose-dependent manner; the mean ratio of day 4 AUEC2-12 to day 3 AUEC2-12 for dTT was 1·01 with placebo, 0·26 with 1 g idarucizumab (74% reduction), 0·06 with 2 g idarucizumab (94% reduction), 0·02 with 4 g idarucizumab (98% reduction), and 0·01 with 5 g plus 2·5 g idarucizumab (99% reduction). No serious or severe adverse events were reported, no adverse event led to discontinuation of treatment, and no clinically relevant difference in incidence of adverse events was noted between treatment groups. INTERPRETATION: These phase 1 results show that idarucizumab was associated with immediate, complete, and sustained reversal of dabigatran-induced anticoagulation in healthy men, and was well tolerated with no unexpected or clinically relevant safety concerns, supporting further testing. Further clinical studies are in progress. BACKGROUND: Specific reversal agents for non-vitamin K antagonist oral anticoagulants are lacking. Idarucizumab, an antibody fragment, was developed to reverse the anticoagulant effects of dabigatran. METHODS: We undertook this prospective cohort study to determine the safety of 5 g of intravenous idarucizumab and its capacity to reverse the anticoagulant effects of dabigatran in patients who had serious bleeding (group A) or required an urgent procedure (group B). The primary end point was the maximum percentage reversal of the anticoagulant effect of dabigatran within 4 hours after the administration of idarucizumab, on the basis of the determination at a central laboratory of the dilute thrombin time or ecarin clotting time. A key secondary end point was the restoration of hemostasis. RESULTS: This interim analysis included 90 patients who received idarucizumab (51 patients in group A and 39 in group B). Among 68 patients with an elevated dilute thrombin time and 81 with an elevated ecarin clotting time at baseline, the median maximum percentage reversal was 100% (95% confidence interval, 100 to 100). Idarucizumab normalized the test results in 88 to 98% of the patients, an effect that was evident within minutes. Concentrations of unbound dabigatran remained below 20 ng per milliliter at 24 hours in 79% of the patients. Among 35 patients in group A who could be assessed, hemostasis, as determined by local investigators, was restored at a median of 11.4 hours. Among 36 patients in group B who underwent a procedure, normal intraoperative hemostasis was reported in 33, and mildly or moderately abnormal hemostasis was reported in 2 patients and 1 patient, respectively. One thrombotic event occurred within 72 hours after idarucizumab administration in a patient in whom anticoagulants had not been reinitiated. CONCLUSIONS: Idarucizumab completely reversed the anticoagulant effect of dabigatran within minutes. (Funded by Boehringer Ingelheim; RE-VERSE AD ClinicalTrials.gov number, NCT02104947.). A key component in the planning of intubation is pre-oxygenation. Recently apnoeic oxygenation during laryngoscopy has been adopted too. These are just two components of an overall oxygenation strategy to consider when intubating the critically ill. Some patients will require proactive preparation of the components of successful post-intubation oxygenation, especially those with severe lung pathology like ARDS. Already well publicised on social media, the team at Hennepin County published a retrospective comparison between patients with refractory VF who received esmolol with those who did not(1). The results are impressive and I look forward to further studies on this. I work in an ED in a hospital with no cath lab and no access to extracorporeal life support, limiting our options for patients who remain in shockable rhythms despite ACLS interventions. We now have esmolol available in our resus room. You might want to keep it in your list of options for ACLS-refractory VF, which might also include double sequential external defibrillation(2) and even stellate ganglion block. INTRODUCTION: We compare the outcomes for patients who received esmolol to those who did not receive esmolol during refractory ventricular fibrillation (RVF) in the emergency department (ED). METHODS: A retrospective investigation in an urban academic ED of patients between January 2011 and January 2014 of patients with out-of-hospital or ED cardiac arrest (CA) with an initial rhythm of ventricular fibrillation (VF) or ventricular tachycardia (VT) who received at least three defibrillation attempts, 300mg of amiodarone, and 3mg of adrenaline, and who remained in CA upon ED arrival. Patients who received esmolol during CA were compared to those who did not. RESULTS: 90 patients had CA with an initial rhythm of VF or VT; 65 patients were excluded, leaving 25 for analysis. Six patients received esmolol during cardiac arrest, and nineteen did not. All patients had ventricular dysrhythmias refractory to many defibrillation attempts, including defibrillation after administration of standard ACLS medications. Most received high doses of adrenaline, amiodarone, and sodium bicarbonate. Comparing the patients that received esmolol to those that did not: 67% and 42% had temporary return of spontaneous circulation (ROSC); 67% and 32% had sustained ROSC; 66% and 32% survived to intensive care unit admission; 50% and 16% survived to hospital discharge; and 50% and 11% survived to discharge with a favorable neurologic outcome, respectively. CONCLUSION: Beta-blockade should be considered in patients with RVF in the ED prior to cessation of resuscitative efforts. 2. Double Sequential External Defibrillation in Out-of-Hospital Refractory Ventricular Fibrillation: A Report of Ten Cases. Background. Ventricular fibrillation (VF) is considered the out-of-hospital cardiac arrest (OOHCA) rhythm with the highest likelihood of neurologically intact survival. Unfortunately, there are occasions when VF does not respond to standard defibrillatory shocks. Current American Heart Association (AHA) guidelines acknowledge that the data are insufficient in determining the optimal pad placement, waveform, or energy level that produce the best conversion rates from OOHCA with VF. Objective. To describe a technique of double sequential external defibrillation (DSED) for cases of refractory VF (RVF) during OOHCA resuscitation. Methods. A retrospective case series was performed in an urban/suburban emergency medical services (EMS) system with advanced life support care and a population of 900,000. Included were all adult OOHCAs having RVF during resuscitation efforts by EMS providers. RVF was defined as persistent VF following at least 5 unsuccessful single shocks, epinephrine administration, and a dose of antiarrhythmic medication. Once the patient was in RVF, EMS personnel applied a second set of pads and utilized a second defibrillator for single defibrillation with the new monitor/pad placement. If VF continued, EMS personnel then utilized the original and second monitor/defibrillator charged to maximum energy, and shocks were delivered from both machines simultaneously. Data were collected from electronic dispatch and patient care reports for descriptive analysis. Results. From 01/07/2008 to 12/31/2010, a total of 10 patients were treated with DSED. The median age was 76.5 (IQR: 65-82), with median resuscitation time of 51minutes (IQR: 45-62). The median number of single shocks was 6.5 (IQR: 6-11), with a median of 2 (IQR: 1-3) DSED shocks delivered. VF broke after DSED in 7 cases (70%). Only 3 patients (30%) had ROSC in the field, and none survived to discharge. Conclusion. This case series demonstrates that DSED may be a feasible technique as part of an aggressive treatment plan for RVF in the out-of-hospital setting. In this series, RVF was terminated 70% of the time, but no patient survived to discharge. Further research is needed to better understand the characteristics of and treatment strategies for RVF. Apnoeic oxygenation during laryngoscopy via nasal prongs has really taken off in the last couple of years in emergency department RSI, and is associated with decreased desaturation rates in out-of-hospital RSI. A logical step in the progression of this topic is to consider HFNC for apnoeic oxygenation, and Reuben Strayer wrote about this nearly three years ago. In a Twitter conversation today, Dr Pete Sherren highlighted a new article describing its use in anaesthesia for patients with difficult airways. This is labelled Transnasal Humidified Rapid-Insufflation Ventilatory Exchange (THRIVE). A reply from Dr Neil Brain points out that when used in kids, the bulkiness of the apparatus may get in the way of bag-mask ventilation (if that becomes necessary). But does HFNC apnoeic oxygenation confer any advantages over standard nasal cannulae? In an apnoeic patient, 15l/min via standard cannulae should fill the pharyngeal space with 100% oxygen, and you can’t improve on 100%. HFNC provide some continuous positive pressure, but this may be cancelled by the necessary mouth opening for laryngoscopy. One issue with apnoea is of course a rise in carbon dioxide with consequent acidosis. The authors of the THRIVE paper (abstract below) point out that in previous apnoeic oxygenation studies, the rate of rise of carbon dioxide levels was between 0.35 and 0.45 kPa/min (2.7-3.4 mmHg/min), whereas with THRIVE the rise was 0.15 kPa/min (1.1 mmHg/min). They suggest that continuous insufflation with high flow oxygen facilitates oxygenation AND carbon dioxide clearance through gaseous mixing and flushing of the deadspace. 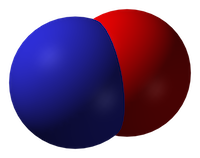 (2) in patients with significant acidosis in whom a significant rise in carbon dioxide could be detrimental (eg. diabetic ketoacidosis). I look forward to reading more studies on this, and to hearing from anyone with experience of this technique in the comments section. Transnasal Humidified Rapid-Insufflation Ventilatory Exchange (THRIVE): a physiological method of increasing apnoea time in patients with difficult airways. Emergency and difficult tracheal intubations are hazardous undertakings where successive laryngoscopy-hypoxaemia-re-oxygenation cycles can escalate to airway loss and the ‘can’t intubate, can’t ventilate’ scenario. Between 2013 and 2014, we extended the apnoea times of 25 patients with difficult airways who were undergoing general anaesthesia for hypopharyngeal or laryngotracheal surgery. This was achieved through continuous delivery of transnasal high-flow humidified oxygen, initially to provide pre-oxygenation, and continuing as post-oxygenation during intravenous induction of anaesthesia and neuromuscular blockade until a definitive airway was secured. Apnoea time commenced at administration of neuromuscular blockade and ended with commencement of jet ventilation, positive-pressure ventilation or recommencement of spontaneous ventilation. During this time, upper airway patency was maintained with jaw-thrust. Transnasal Humidified Rapid-Insufflation Ventilatory Exchange (THRIVE) was used in 15 males and 10 females. Mean (SD [range]) age at treatment was 49 (15 [25-81]) years. The median (IQR [range]) Mallampati grade was 3 (2-3 [2-4]) and direct laryngoscopy grade was 3 (3-3 [2-4]). There were 12 obese patients and nine patients were stridulous. The median (IQR [range]) apnoea time was 14 (9-19 [5-65]) min. No patient experienced arterial desaturation < 90%. Mean (SD [range]) post-apnoea end-tidal (and in four patients, arterial) carbon dioxide level was 7.8 (2.4 [4.9-15.3]) kPa. The rate of increase in end-tidal carbon dioxide was 0.15 kPa.min(-1) . We conclude that THRIVE combines the benefits of ‘classical’ apnoeic oxygenation with continuous positive airway pressure and gaseous exchange through flow-dependent deadspace flushing. It has the potential to transform the practice of anaesthesia by changing the nature of securing a definitive airway in emergency and difficult intubations from a pressured stop-start process to a smooth and unhurried undertaking.